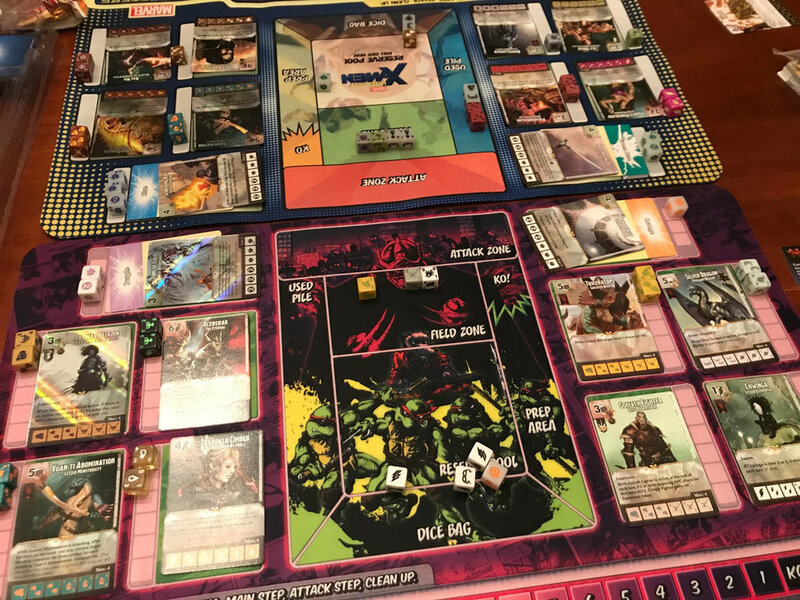 Tomb of Annihiliation Draft Review - Dice Masters Draft and Packs Explored — GamingWithSwag.com - Dads By Day, Gamers By Night. The packs come with a mix of rarity, and as a fan I kinda like the certainty that if you buy a pack you should get two rare cards. 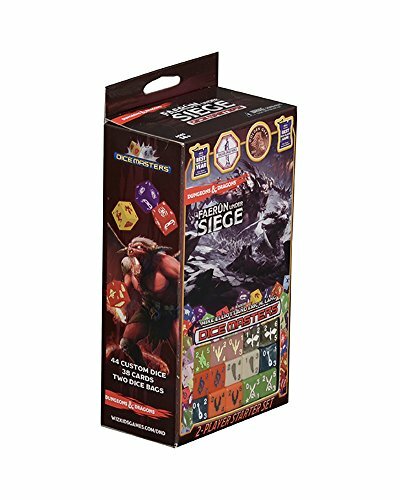 From a value perspective you get 12 packs worth of dice plus the action cards with some guaranteed uncommon and rare cards, so even buying the packs to build your collection and not draft at all is a bargain. It is rumored that these packs are somewhat random so it is possible to have two of a character in a pack (but should be different rarity versions you can choose from) and that one of the rare cards could be a Super Rare. The results after our 3 person draft, Mark went HAM on those Frost Giants. While Marvel's Thor draft packs are set to be released eventually, the Dungeons and Dragons line gets the draft treatment first and ties in to the current stories and monsters from the Tomb of Annihilation wave. Having said that, if you are not a D&D person (which I am not) this line adds unique elements that fans of the Marvel/DC/TMNT lines may want to investigate and knowledge of the larger universe is not required (Think about Indiana Jones exploring a world of magic and dinosaurs). One is that many characters can gain experience which adds to their stats as much as once every round they remain in play so leaving your opponent's dice out to defend can mean they are going to be tougher when you do get around to attacking. Second, the basic actions can be an equip-able item instead of the single events which are more typical in the other lines. D&D also has single cost cards which can mix things up, like I drew a 1 cost trap that when triggered allows me to purchase a 2 cost character die for free. To test the game Chris and I each opened a pack but to mix things up we roped our friend Mark in to make it a 3 player draft from 3 packs and then we can do a little round robin battling with the decks we built. Since you end up with 12 cards, you draft 4 that you won't actually use so you can grab a shiny card you want to have, but doesn't actually fit your team very well or you can simply ignore the last few cards you draft since they are less desirable enough to be repeatedly passed over. Below, Chris and I will discuss the teams we made and the winner of our head to head battle. Dean's Draft - "Dragons and Friends"
I drafted 2 rares that I didn't really even utilize because the synergy I got going pretty early was Dragons and people that pair well with them. I took two Pseudodragons because I loved the idea of being able to have 4 dice for my two cost character so I could focus on having more variety in my 3 cost characters and higher. However, as a downside you will see that I neglected to draft anyone that cost 6 or more which may have been a mistake, but I tend to play fast so that I often defeat someone before the heavies really start to enter the fray. I loved the low cost Doppleganger which would copy another character in the field so as the game went on I would never look down on him as he would get more powerful as I got better stuff out for him to copy. My Gold Dragon was the card I was working to scale up to, but my basic action card was a sword and Captain Laskilar got buffed when he equipped anything so I used him as well for some nice big swings. I let the extra pseudodragon, the bard Birdsong, the one cost Kobold Trap, and Tabaxi Rogue ride the pine and went to battle with the rest. Chris' draft results - Team "Dem Triceratops Doe." I love those Triceratops cards. In retrospect, I should have fielded the "Overcrush" variant over the one I used that can instantly drop any level 1 character die. This would have been more consistently threatening. The funny part is, they weren't even in my first two picks of the draft so I backslid into a Dino team. I also really liked that I pulled the Candlekeep action card. It has the ability to draw two dice from my bag and roll them into play which really helped fielding those dinos. Chwinga was an interesting low cost card as well, when it is rolled as a level 1 or 2, it is forced to attack regardless of what the opposition is showing. I feel this disorients a bit because it ends up being a bit of a surprise to both players (oh right, she has to attack.) I only rolled her at those levels once or twice, but when it came up it was always an interesting turn. All in all I really liked the double rainbow draft format, and I look forward to pulling more dinosaur cards and putting Dean on his heels with giant reptiles. In our head to head battle Chris secured a rare win against me. His Triceratops was devastating, and while I had him down pretty low on health I was unlucky getting my high cost characters into the field as I didn't once get one of my Gold Dragons out and my geared up Pirate did one sweet 9 damage unblocked strike but I never got him out for another attack. Because my heavies didn't make it out I couldn't copy them with my Doppleganger and my team relied way to much on my surprisingly resilient Elf Druid. I enjoyed the challenge of building an impromptu team and I wish I knew more about these characters although I started to weave my own back stories to make my characters more fun to wield. If you are a Dice Masters fan, this is a more reliably competitive draft format where you get decent dice and on top of that a good value for growing your collection. I would love to draft another time or two, and then I should have enough D&D cards to start making some interesting constructed decks to keep getting value out of the purchase. 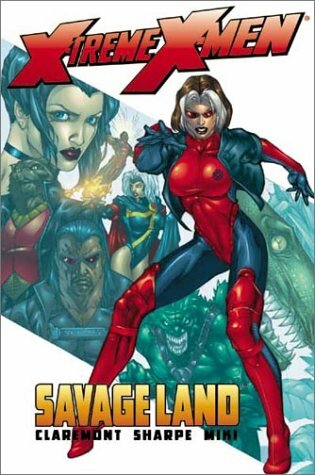 And I think you can totally justify mixing a few of these with your other sets, I mean "X-Men in the Savage Land" is begging to be played.